This is a fun workshop for beginners! 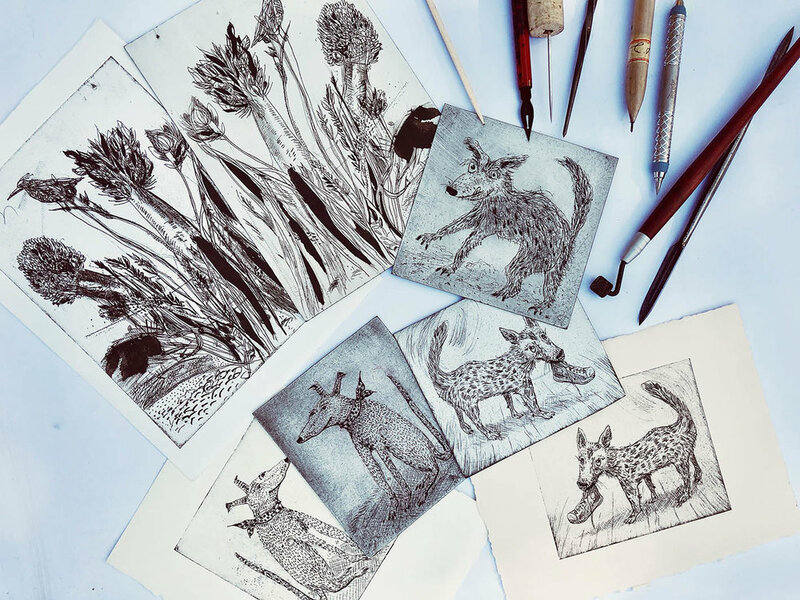 We will make prints with cardboard plates — a simple but effective printmaking process and a perfect introduction to intaglio printmaking. Sunday 3 June at Vicarious press in Willunga. I'm teaching a workshop with the fabulous Union St Printmakers at Stone and Quoin studio.